Where do you put a plane? Aircraft hangers are the massive buildings that planes are stored in. Working planes spend most of their time in the air but when they need repair, they’ll be parked in a hangar. You can often spot hangars on and around airports. This is because places to store places must be near a runway so planes can get there easily. 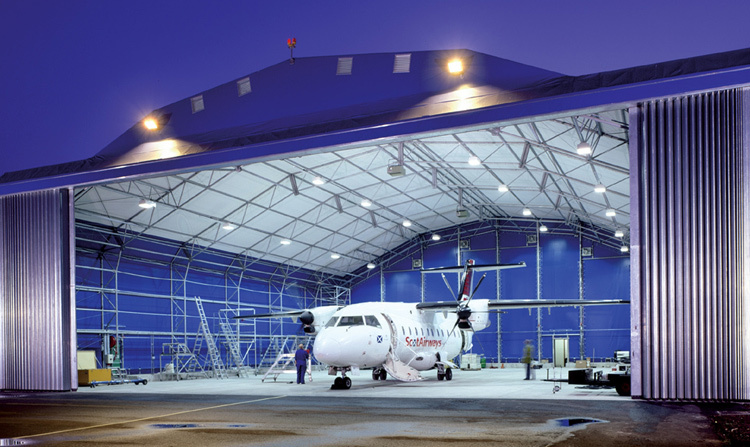 When a plane is not being used for a while, it can be kept safe on an airpark – like a car park but for planes! As planes are designed for being in the air not on the ground, airparks must be where the ground is hard – a passenger plane can weigh as much as 180 tonnes and will sink if the ground is soft. Sometimes the tyres on the aircraft are changed to special tough “storage tyres” so that they don’t collapse under the weight of the standing plane. It’s also important that open air airparks are very dry. Planes are made of a lot of metal and metal will rust if it gets damp. There are some very famous airport airparks in parts of the American desert where the hot and dry conditions are perfect for the job!